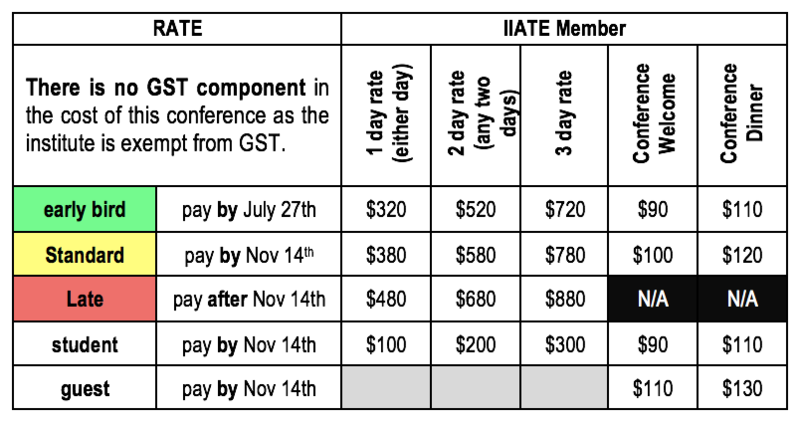 Login to access discount member rates. Teachers are provided with the opportunity for networking, resource sharing, skill development and advancement, and to be kept abreast of current and future directions in STEM education, focusing on Engineering and Technology. The conference consists of an all day ‘Hands On’ workshop, followed by two days of general sessions, breakout workshops and evening events. The information presented at this conference relates directly to the teaching of STEM, Technology, Engineering and Industrial Arts curriculum. Teachers are provided with the opportunity for networking, resource sharing, skill development and advancement, and to be kept abreast of current and future directions in STEM education, focusing on Engineering, Technology and Industrial Arts. Lunch and morning tea are provided. Schools will need to provide their own casual relief for conference attendees. 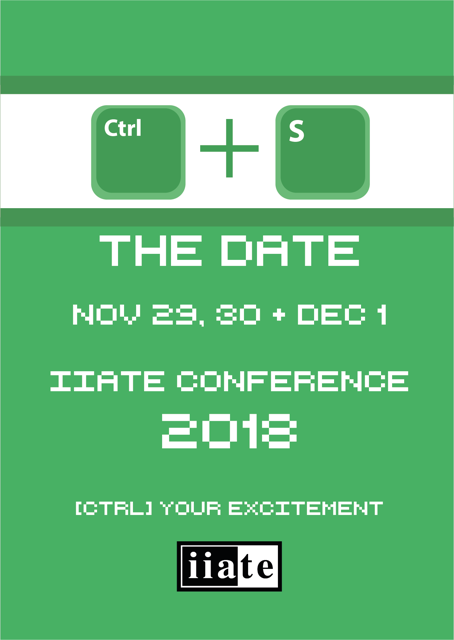 Your iiate membership must be current prior to registering for the conference, as you need to use your unique membership number to register. Tom Dimovitch and Joe Silva - Getting ready to retire? Things that you need to know. Julie Colls - I'm young, why should I even bother with what my super could do for me? Nikolai Liu - e=STEM2 Hands on workshop building a circuit on base boards for beginners/intermediate or a 555 timer IC circuit for advanced. Nicky Ringland - Grok Learning - Coding in the Curriculum - Building on basics and extending students for differentiation in the classroom.